Hunters, military men or airsoft enthusiasts need to to harmonize with their surroundings and to disguise themselves from their targets. In fact, there are cases when their camouflage plays an important role in life and death situations. 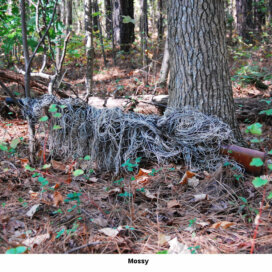 That is the primary role of the ghillie suit – to disguise them in dangerous and otherwise life threatening situations. Also known as yowie or wookie suit, a ghillie suit is a type of clothing that is made to imitate heavy foliage. 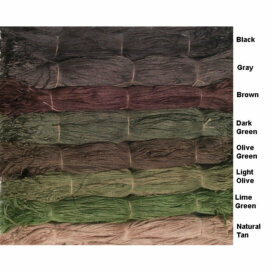 Commonly, it is covered with loose strips of clothing that look like leaves and twigs. This suit accomplishes the purpose of hiding them away since it creates a three-dimensional image of the person’s outline rather than a linear one. Some well-made suits even move with the wind in the same direction as the bordering foliage. Because ghillie suits are very important in keeping you anonymous in your surroundings, it is also essential to select the right pattern suit. To enhance your camouflage clothing it helps that you can add surrounding foliage like twigs or leaves to the suit for additional blending with the surroundings. For snipers for example, it is important that the suit allows you to move without difficulty. This is crucial since you need to escape during dangerous situations. Also, the suit must be light and allows for the circulation of air. And lastly, it should be made of quality materials ensuring that it won’t fall apart when you are in the field. 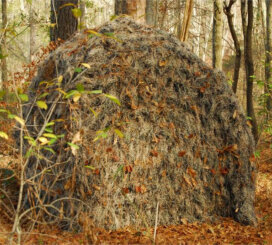 In the case of bow hunters, there is an ideal ghillie suit that is customized to make your hunting experience easier. Ideally, this should be made of light material to make movement easier. It should be designed in such a way that the bow string would not get in the way of the bow shot. As an added feature, the suit allows for the addition of sticks or leaves to make it more effective as a camouflage. A popular suit for bow hunters has been the Bow Hunter Ultralight jacket and pants Ghillie Suit set. For airsoft players meanwhile, the ghillie suits help them in their game by keeping them unnoticeable. With its camouflage capabilities, it also permits easier movement and comfortable exploration for potential hiding places. The good thing is, there is actually a suit in the market that meets all of the criteria above. Whether you are a bow hunter, a professional sniper or a paintball or airsoft enthusiast, you can choose from a wide range of suits that meet your specific needs. 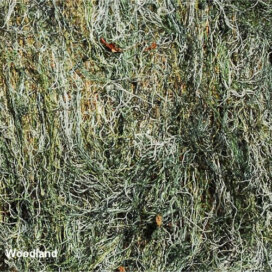 The ghillie suits we offer are made of ultra light synthetic thread which allows for the addition of leaves and twigs as needed. And since it is lightweight, it does not hamper movement. These ghillie suits are also water-proof, fire-retardant, resistant to mildew, rot proof, non-allergenic and contains no UV brighteners. Choose the right suit for you now!.